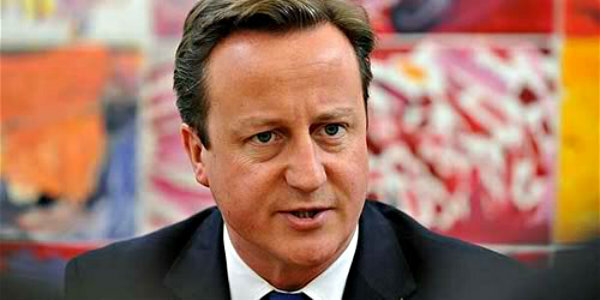 TheBlueGuerilla: Cameron Bows to EU Referendum Pressure. David Cameron has tonight sensationally thrown in the towel to his euro-sceptic rebels. Downing Street has just confirmed that a Draft Bill for an E.U Referendum after the next election will be published tomorrow. Basildon MP John Baron has just exclusively told tbg that "it's a step in the right direction." Cheryl Gillan told the BBC - "We need to restore faith and trust in the Conservative Party via an in or out referendum." Nadine Dorries said - "It shows the PM is listening but what is worrying is that we are still stuck in a 2017 Timeframe." "If we can bring forward measures for things like Gay Marriage then why can't we legislate on this before the General Election." A Tory Party spokesperson told tbg the draft bill - "Is apart of the Prime Ministers Conservative Party policy to renegotiate membership terms with the UK & EU and put that deal to a public in-or-out referendum in 2017. That is Conservative Party policy."